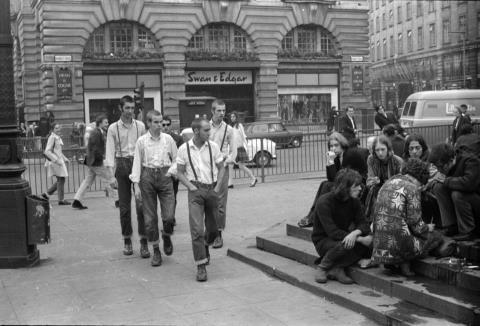 Skinheads and Hippies, Piccadilly Circus, 1969 (photographed by Terry Spencer). 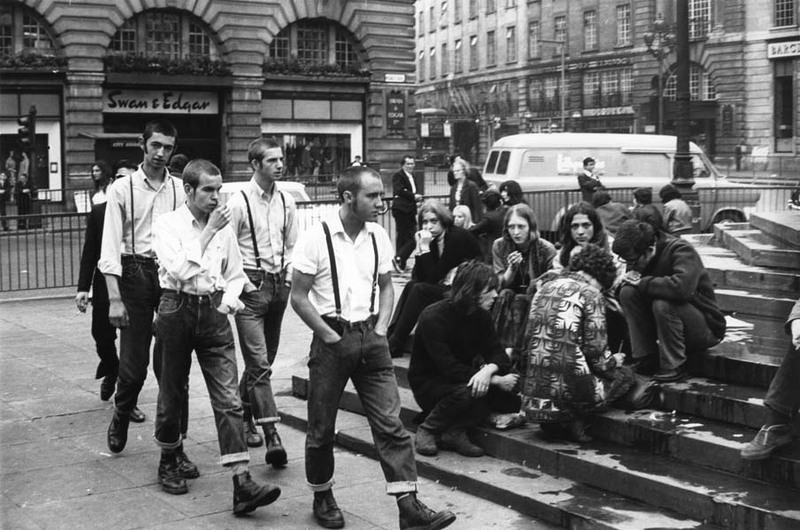 Photographed by Terry Spencer, these photos show ‘ a clash of 2 cultures’, though if there were any clashing to be done, my money would a) be on the skinheads starting it, and b) the skinheads finishing it as well. The hippies, wisely, avert their gaze from the passing Skins in the first picture. In the third picture a couple of brave hippie souls lift their heads up to check they are actually going past their group, as opposed to into it. 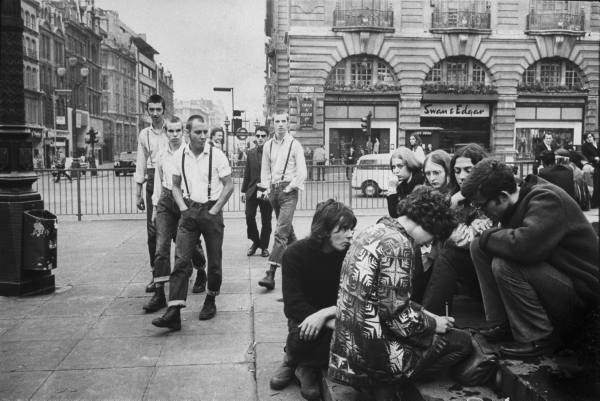 This all happens around Piccadilly Circus (the hippies are sitting on the steps of the statue of Eros). it is no cut and paste job either – there are some really inspired posts there. Please check it out.